I was once tried out this funky 2D Game Engine, LÖVE. The community are a bunch of fun-loving people, and visiting the forums would make you feel like laughing. aliens, and thus the website went down. So come on back and make some LÖVE! We’re waiting! Published on April 6, 2010 in Game Programming. 0 Comments Tags: Games Programming Practices. Just want to share a simple debuggin practice that I picked up while working at Envisage Reality. The solution looks valid doesn’t it? Render uses data from mGraphicsObject, which may cause the application to crash if it is not initialized. Thus, we also protect it with an "if" statement. You can liken this example to game where Dummy is an Entity which has graphical Data, and it Renders that Data. In our case, our graphical data is just text. So the "if" statement protection seems like a good solution to prevent your game from crashing, doesn't it? Imagine you have 500 Dummy objects in your world, and they load different graphical data. Now suppose 10 of those objects are not rendering, you're going to have a difficult time debugging. #1) you probably won't even notice those 10 missing, as there are hundreds of objects running about in the scene. And the game runs fine. So it seems like there isn't any problem! If you removed all those "safety if statements", your application would have crashed, and you would definitely know about the problem. It could be that the 10 Dummys weren't initialized. Maybe the code to initialize "mGraphicsObject" has a problem, and for some weird reason, 10 of those are not initialized. Okay, GetData() is return a blank string, but is it because mData is not initialized or mData is returning a blank string? Perhaps 10 of them are specified to load a "BlueDummy.txt" file, and there was a problem with the loading. // Cut out 8 characters, starting from the 10th char in the string. Now did the file fail to load? Or is the loaded_data only 10 characters long, such that my substr() removed all the characters? After a long check, you realize that "BlueDummy.txt" is missing. And this is just a simple example - what would happen if you're making a real game? You'll probably wouldn't realize that there is a problem until much later, as explained in #1. It would save a lot of debugging effort and weird problems, if you'll just Let It Crash. Published on March 4, 2010 in News and Events. 0 Comments Tags: Games, Portfolio, Shipped. Hey all, I’ve added a new page titled “My Games”, which is my portfolio for the games I’ve worked on. 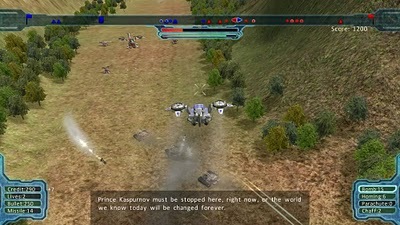 Right now there’s only Armor Valley, a 3rd Person Aircraft Shooter and Real-Time Strategy hybrid game. Do check it out! Published on March 3, 2010 in Web Design. 0 Comments Tags: CSS, HTML, Images, PHP, Rounded Corners, Web Design. I managed to create rounded corners for images using CSS, thanks to the tutorial at http://www.sitepoint.com/blogs/2005/08/19/dom-foolery-with-images/. To do this, you will need a DIV wrapper around the image. You’ll also need 4 inner DIVs for each corner – we’ll be using the background property to display our corner image. You may download the corner images here. Important: if you wish to apply margin/padding on your image do not directly apply it to the image – it will screw the rounded corners positions. Apply the margin/padding on the ‘.image_wrapper’ class instead. This blog is solely dedicated to things pertaining to coding, games, web design and the such. It is also to keep track of the stuff/projects I’ll be doing. Thanks to Bryan for allowing me to use his server! I’ll try to update regularly, so do visit frequently!